If you are experiencing skips in your plotters movement, or intermittent failure of the pen or cutter, you may have a signal cable that has a faulty or broken connection. Unplug both ends, and put both ends in a vice, or something to keep them stationary while you take measurements on the pins. Set your multimeter to continuity mode, or resistance measurement mode on the lowest setting. 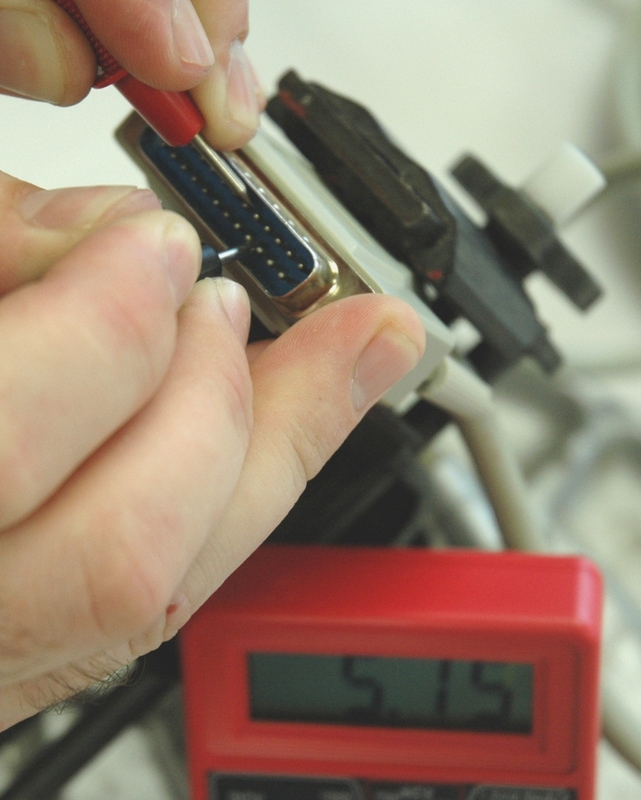 your multimeter should read a very low value (under 100 ohms), or beep if the pin you are testing is continuous. 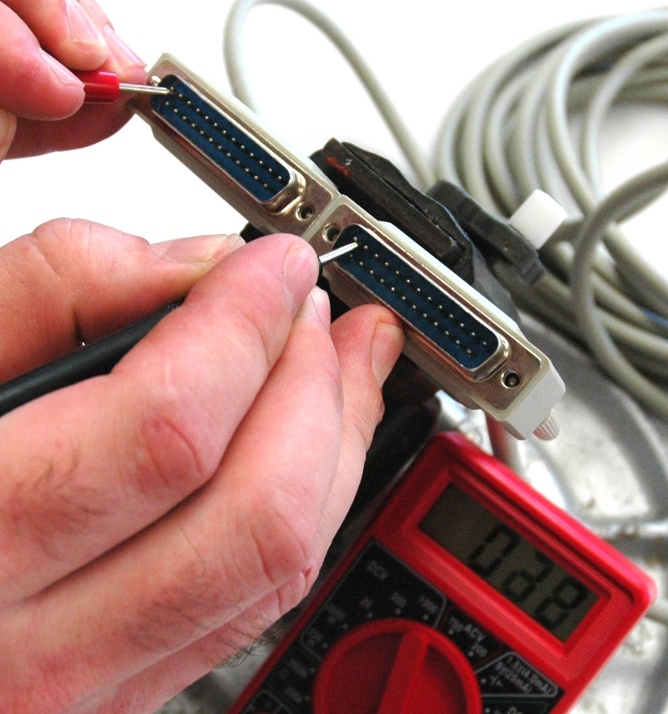 If in testing the pins, you read a high resistance, or an open circuit, then the cable is faulty and should be replaced. Put the other end of the cable in something to hold it stationary while you perform some measurements. Set your multimeter to measure DC voltage, and set the voltage range to the smallest setting that is over 5 volts. with the pen and cutter both set to their normal up position in Plotmaster, test between ground (pins 18-25), and the pin that controls the cutter (pin 9). see image. The pins are numbered in very small numbers on the plastic that they protrude from. You should read within 10% of 0 volts. now, toggle the cutter down in Plotmaster. now, repeat the measurement process (steps 4 and 5), but this time you should a voltage within 10% of 5 volts. To test the pen up/down signal, repeat this process, but instead take your measurements between ground and pin 8 (pin 22 if you are running PM32). If, for either of these measurements you do not measure 5 volts when the pen/cutter are down, you may have a bad signal cable, or a problem with the connection with your pc.